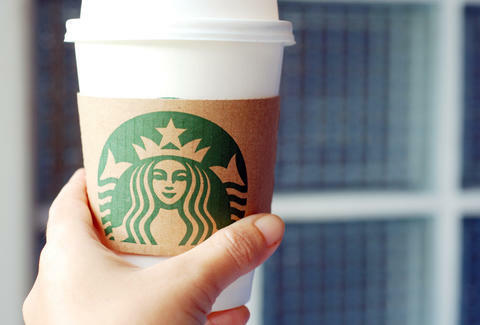 Starbucks has been taking heat for recent changes to its rewards program, but there's one part of the rollout that everyone can agree is awesome: Free stuff. Go into Starbucks right now and you'll get a Starbucks Rewards Gold Membership for free, which comes with a ton of perks. Until May 2, 2016 participating Starbucks stores are offering one year of Gold Membership with any purchase to customers who pay with a registered Starbucks card or the Starbucks app, which means you'll be getting 300 Starbucks Rewards stars in one day, and a variety of perks that all amount to more free stuff more of the time, by doing nothing but ordering your morning coffee. And if you already have a Gold Membership, you'll get an extra year. It's a status that would normally take you a good while to reach with the new Starbucks Rewards guidelines, and this is your fast track. Under the new Starbucks Rewards program, you get two stars for every dollar you spend at Starbucks, and you normally need 300 stars to claim Gold status. With Gold Membership, you get a reward like free food or a free drink with every 125 stars earned, and you get monthly "Double Star Days," as in days when a purchase will be worth double the usual number of stars. In addition, you get all the perks of normal, not-yet-Gold members like free drinks on your birthday and free in-store refills. Sure, this whole Gold-in-a-day thing might be a way of taking the focus off customer concerns with the new program. But hey, free stuff is free stuff, and everyone likes free stuff. Kara King is a News Writer at Thrillist and really likes free stuff. Send news tips to news@thrillist.com and follow her at @karatillie.